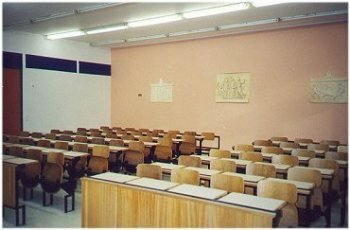 HISTORY AND LOCATION The first professors to teach Chemistry at the University of Athens, established in 1837, were primarily Xavier Landerer and Anastasios Christomanos in the 19th century. Leandros Dosios was an early physical chemist in the School of Philosophy. Christomanos succeeded in building a Chemistry Building and in creating the School of Sciences by separating the sciences from the School of Philosophy. 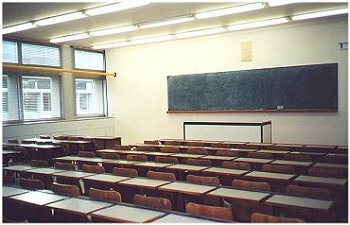 The Chair of Physical Chemistry at the University of Athens was requested as the second Chemistry chair before the separation of the Schools (29/5/1904) and was filled on 15/12/1904. Professor Konstantinos Zengelis assumed his position in 1906 as the first professor of Physical Chemistry. In 1912, the chair of Physical Chemistry was split into Inorganic and Organic Chemistry, but it was re-established in 1918 with Professor Dimitrios Tsakalotos who held the position until his early death in 1919. 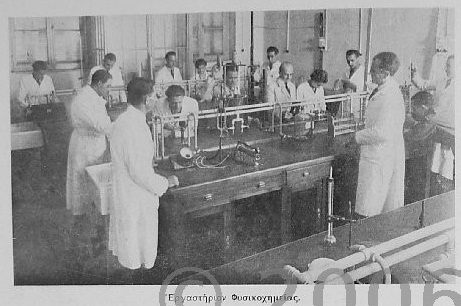 The Laboratory of Physical Chemistry was created in 1922. 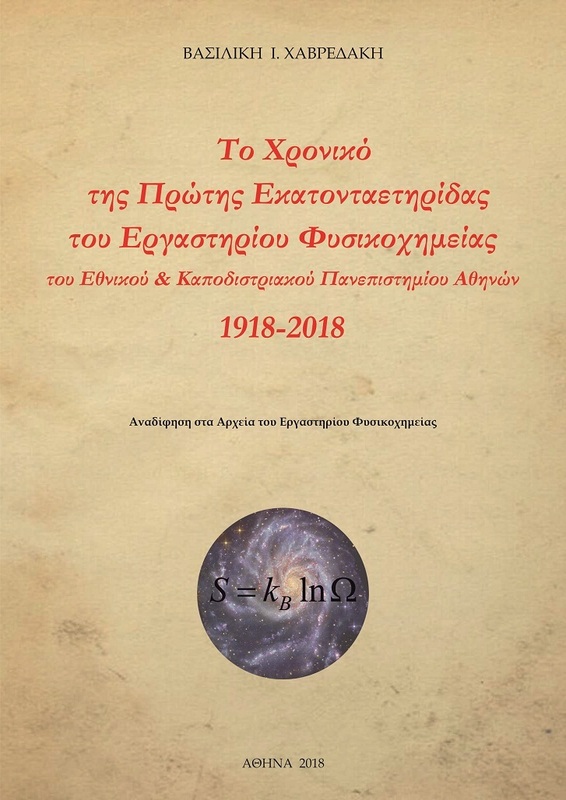 After at least one failed attempt to fill the chair in the 1920s, Professor Georgios Karangounis was elected on 13/11/1931 to the [associate] Chair of Physical Chemistry. 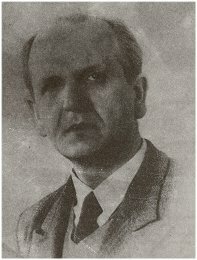 He remained director of the Laboratory during the period 1932-1948, after which time he moved and taught in Switzerland and Germany. [Details about work in the lab during that era can be traced through a partial list of outgoing documents (full text).] 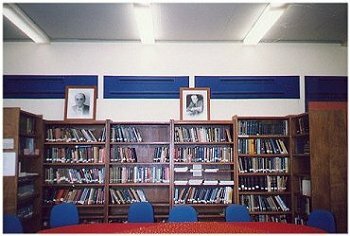 His successor was Professor Theodoros Yannakopoulos who directed the laboratory from 1951 and held the Chair during the years 1961-1983. In 1983, Professor Athanassios Fabrikanos became director of the laboratory until his retirement in 1989. Between 1990 and 2011, director of the laboratory was Professor Aristides Mavridis. In 2011, Professor Vasiliki Havredaki was elected director of the laboratory. After her retirement in 2012, Professor Ioannis Samios was appointed director. Upon his retirement in 2016, Assoc. Professor Andreas Koutselos was appointed director. Since its establishment in 1922, the Laboratory was located in the west corner on the basement of the downtown Athens Chemistry Building on 104 Solonos Street. In 1962 it was housed in the east end of the third and fourth floor of the adjacent then-New Chemistry Building on 13a Navarinou Street. 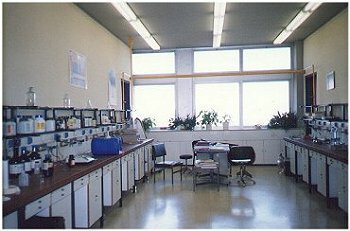 Since the summer of 1990 the Laboratory of Physical Chemistry is located in the Zografou Campus (Panepistimiopolis), on the two wings of the 5th floor in the Department of Chemistry complex. On the left you can see an early picture of Professor Georgios Karangounis. 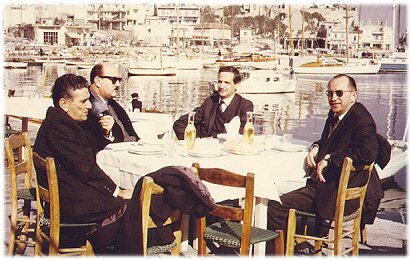 On the right, there is an early 1960s picture at Turkolimano [nowadays called Mikrolimano], Pireaus. From left to right: Professor Theodoros Yannakopoulos, Professor Konstantinos Polydoropoulos, Professor D. J. Millen (from University College London) and Professor Athanassios Fabrikanos. 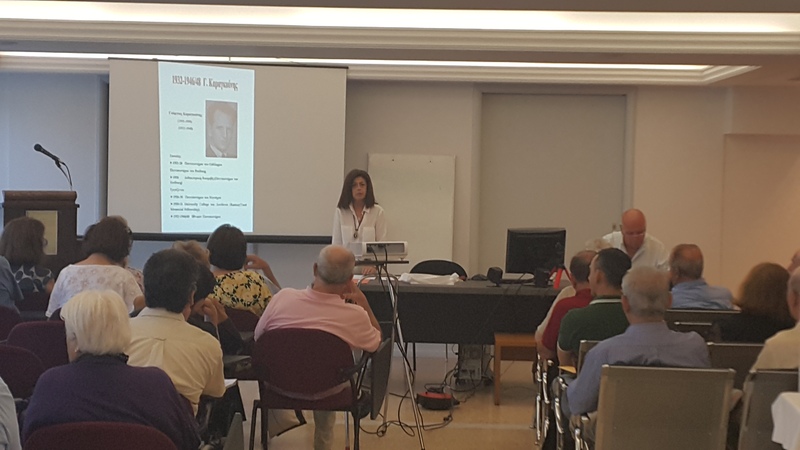 On 1 July 1998, the classroom of the Physical Chemistry laboratory was named "Yannakopoulos classroom", in memory of the Professor [Read more about this event]. In May 2005 the School of Sciences celebrated its first centennial. 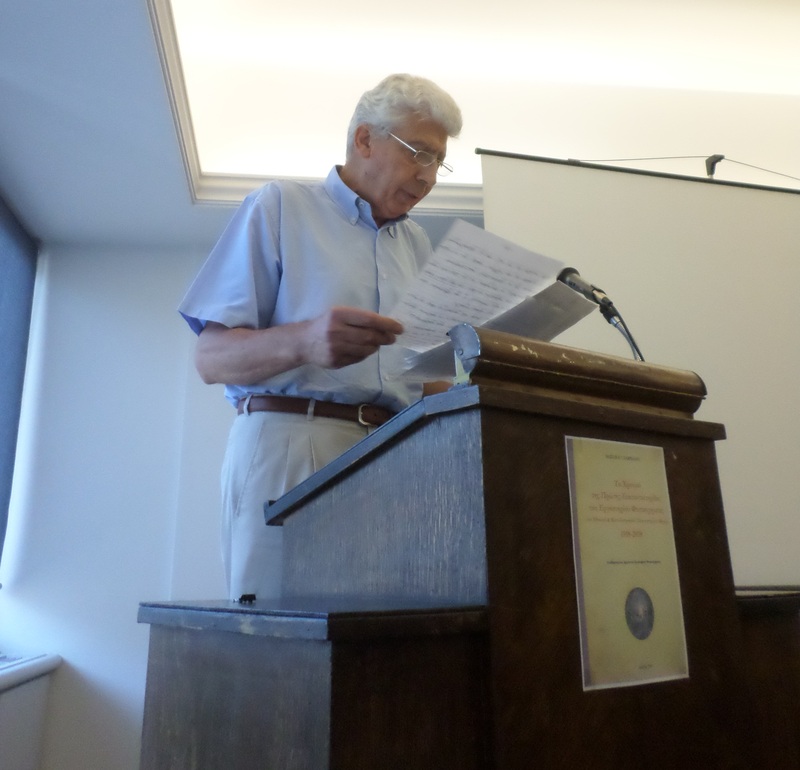 Prof. Mavridis recounted the story of the Physical Chemistry Laboratory in the past 100 years. On 18 April 2018, the Department of Chemistry celebrated its first centennial. A. Tsekouras gave a similar account on the Physical Chemistry Laboratory.